The basic ingredient of traditional Alföld pasta dishes and simply indispensable for slambuc. Also suitable for lebbencs soup. Hungarian foodstuffs of exception quality and satisfying the broadest range of consumer needs. and read additional information on our goods. 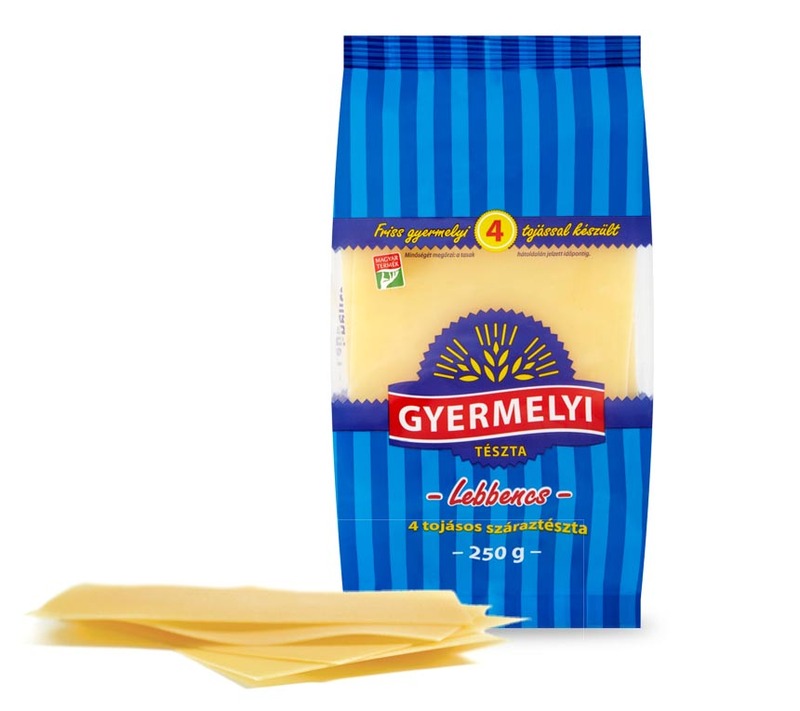 The most popular product range of the market-leading Gyermelyi pasta is the four-egg pasta, accounting for the majority of the company’s production. The 23 various shapes of four-egg pasta include shapes for soups, side dishes, salads and even desserts. The pasta is made from our self-produced raw materials: special industrial flour from the mill in Gyermely and fresh eggs produced at our own hen-houses. Fresh eggs ensure that our four-egg pasta has excellent cooking characteristics, high water-absorption levels, springy texture and rich, delicious flavour. Thanks to the vitamins, fully digestible protein, optimal fatty acid content and minerals of the eggs, our egg-based pasta provides the body with extra nutritional value and thus rightfully belongs to the premium segment of the pasta market. Gyermelyi Zrt. 2019 ©. All rights reserved!